Biggest and one of the hardest kicking handguns . Fully licensed by Cybergun, you can expect it to have all the correct markings. Good for 355fps when using Green Gas. Comes with a 21 round green gas magazine. As seen used by Agent Smith in the movie The Matrix. 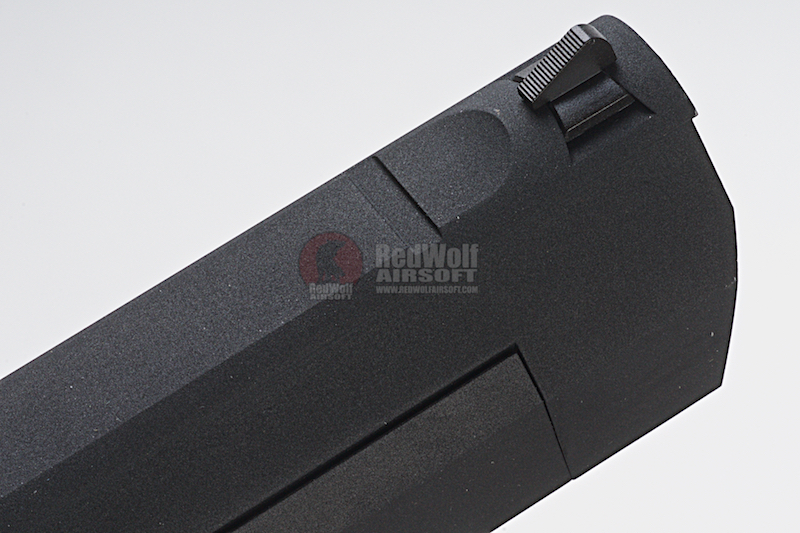 Magazine Compatibility - WE 21 Round Magazine. 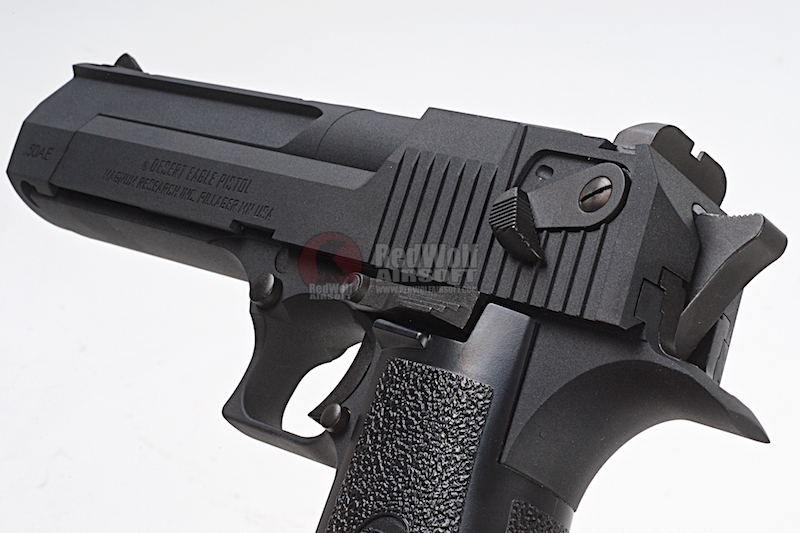 The WE Desert Eagle is undoubtedly the biggest and one of the hardest kicking handguns on the airsoft market today. 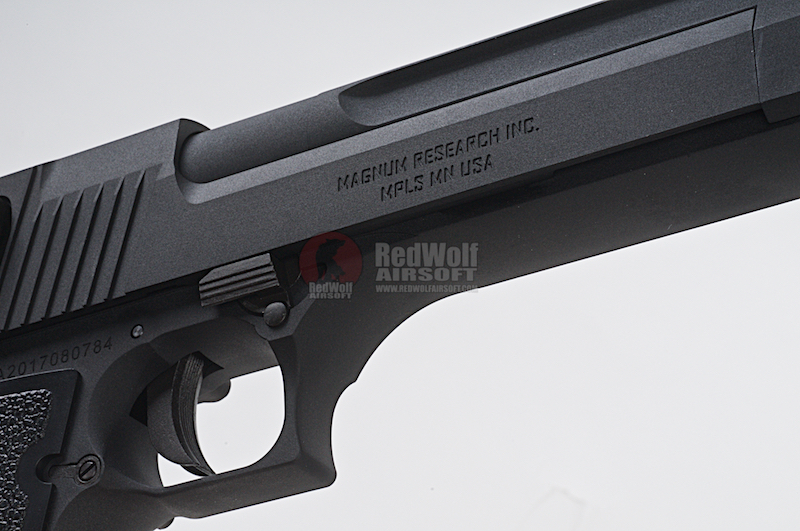 Manufactured by IMI since 1984 in real steel format, the Desert Eagle was actually designed by American firm Magnum Research in Mineapolis, USA. 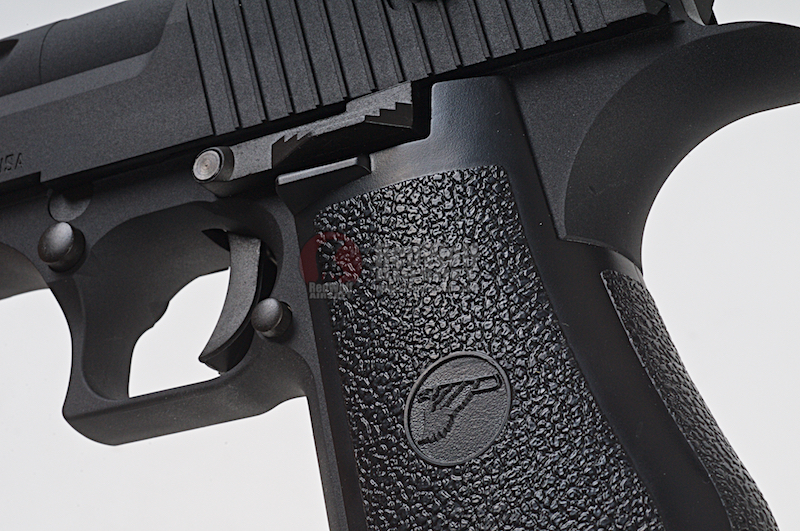 Since it is fully licensed by Cybergun, you can expect it to have all the correct markings. One of the hardest kicking Green gas pistols in airsoft! Not designed for small hands, this gun packs a menacing kick on each round - making the gun rock and yaw in your hand. 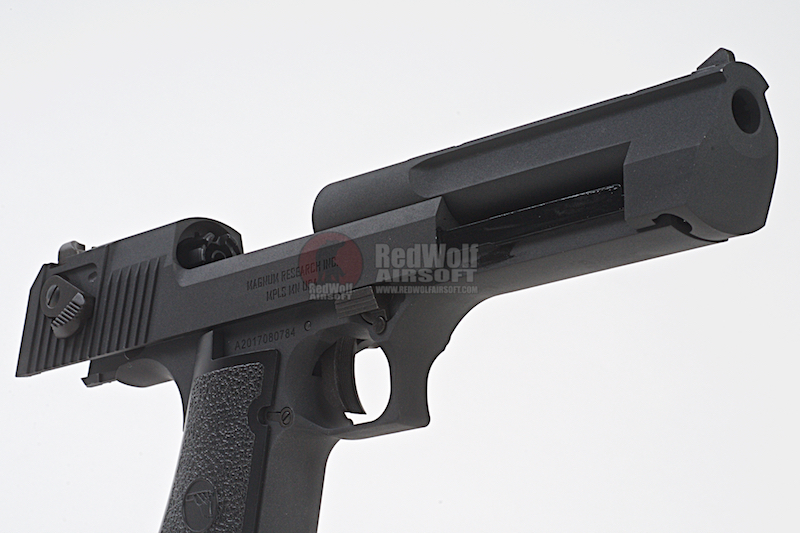 Strong recoil spring means that the slide locks back into place with a very loud and solid slap! Attractive blowback sound is music to your ears. As seen used by Agent Smith in the movie The Matrix. 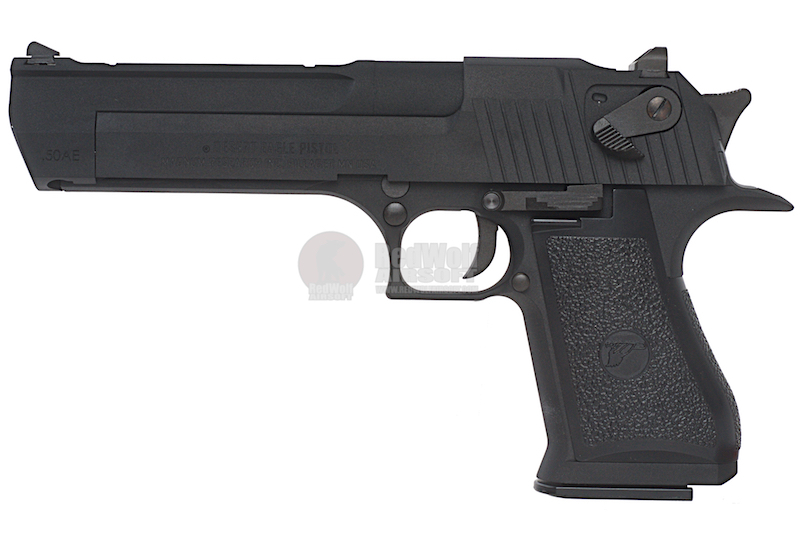 One of the most gratifying pistols to shoot in airsoft to this day! 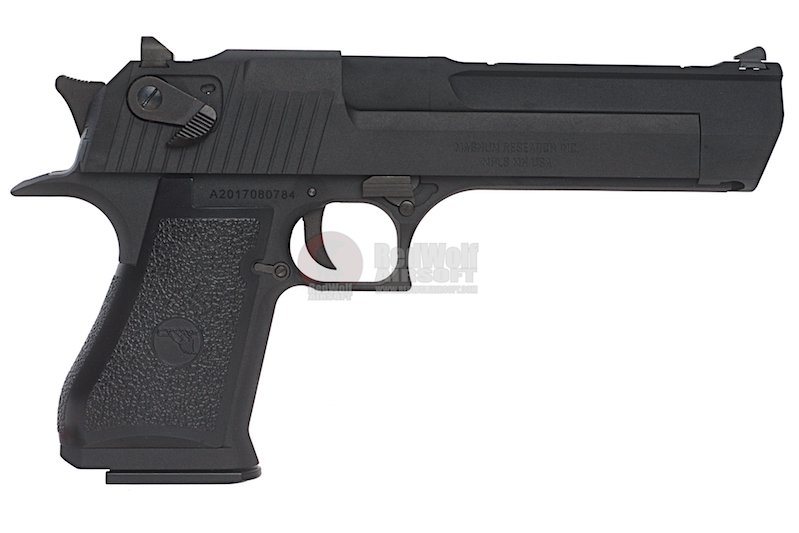 x1 Cybergun WE Desert Eagle .50AE GBB Pistol.